In the spirit of a cold winter’s day and the opening of Pitti, I’m wearing winter white corduroy trousers today and feeling very Brunello Cucinelli even if I’m not as tightly tailored. 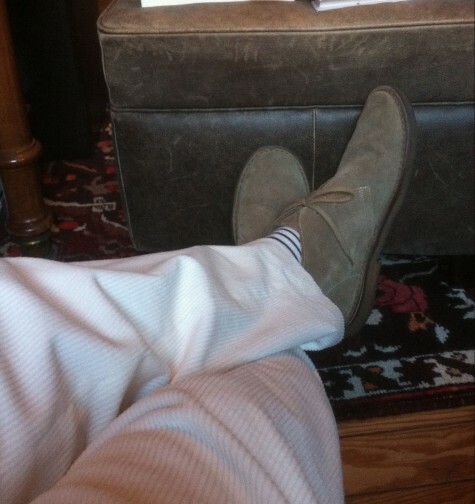 This entry was posted in Elegantology and tagged ADG, Brunello Cucinelli, Old Town, Pitti, POLO cords, Shooting Point Oysters, suede chukkas, Winter white. Bookmark the permalink. Mrs. PvE, that’s why I chose the light grey sweater!